So, all those plans, like the flight to Danang and Christmas in the tropical beach huts - they were good for about six hours. Last night we got offered a house and driver in Saigon for free from Dec 17th to Dec 26th. In exchange we have to comb a cat every now and then. 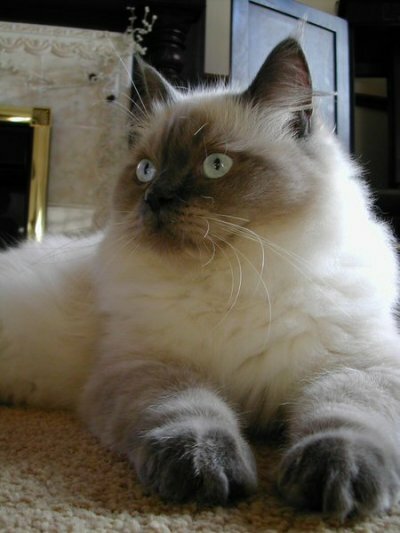 It's a ragdoll cat. No - this isn't the actual cat - but I suppose it looks something like this. Martin will be in heaven. A driver, people! Just call me Miss Daisy.